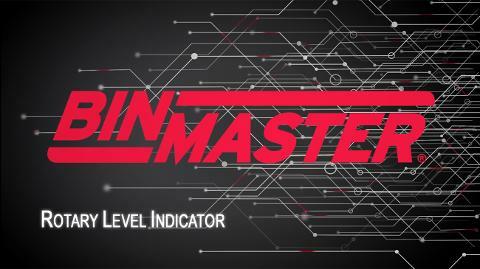 BinMaster’s most advanced rotary level indicator features a complete fail-safe system that alerts to the loss of power, failure of the motor, or failure of the electronics – allowing it to be used for process control. Appropriate for a wide variety of bulk solids including powders, pellets, or granular materials, the MAXIMA+ alerts the user to bin status via an audible horn or light wired to the unit. Notification occurs when the paddle stops rotating and is in a covered condition; it alerts again when the paddle begins to rotate as the bin is emptied and the paddle is uncovered. The MAXIMA+ can be mounted on either the side of the bin or at the top of a bin using a shaft extension. To prolong motor life and to optimize energy costs, the motor of the MAXIMA+ will “de-energize” once the shaft stops turning when material comes into contact with the paddle. BinMaster offers a variety of stainless steel and polyethylene paddles in single and three-vane designs to accommodate a wide range of industries and applications.